In nature, the interactions between agents in a complex system (fish schools; colonies of ants) are governed by information that is locally created. Each agent self-organizes (adjusts) its behaviour, not through a central command centre, but based on variables that emerge from the interactions with other system agents in the neighbourhood. Self-organization has been proposed as a mechanism to explain the tendencies for individual performers to interact with each other in field-invasion sports teams, displaying functional co-adaptive behaviours, without the need for central control. The relevance of self-organization as a mechanism that explains pattern-forming dynamics within attacker–defender interactions in field-invasion sports has been sustained in the literature. Nonetheless, other levels of interpersonal coordination, such as intra-team interactions, still raise important questions, particularly with reference to the role of leadership or match strategies that have been prescribed in advance by a coach. The existence of key properties of complex systems, such as system degeneracy, nonlinearity or contextual dependency, suggests that self-organization is a functional mechanism to explain the emergence of interpersonal coordination tendencies within intra-team interactions. 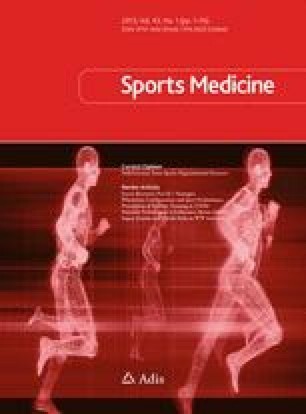 In this opinion article we propose how leadership may act as a key constraint on the emergent, self-organizational tendencies of performers in field-invasion sports. The authors have no conflicts of interest to declare that are directly relevant to the content of this article. No funding has been received to assist in the preparation of this article.